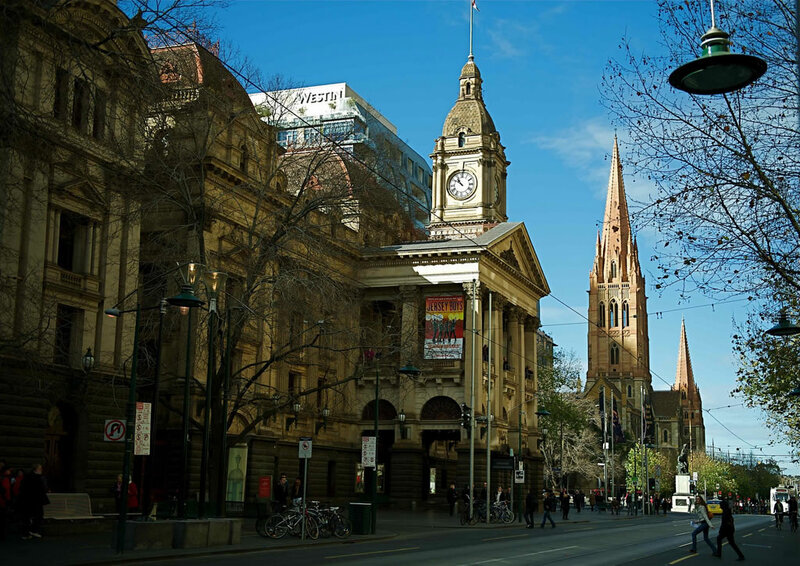 Since 1870, Melbourne Town Hall has been at the heart of events which have shaped the city's future and celebrated monumental milestones. The Melbourne Town Hall is a magnificent heritage building steeped in history and located on the corner of Swanston and Collins Street, in the heart of the city. His Royal Highness Alfred Ernst Albert, Duke of Edinburgh, laid the foundation stone on the 29 November 1867. The new building was opened officially by his Excellency the Governor of Victoria Lord Viscount Canterbury on 9 August, 1870. The Tower was named 'Prince Alfred's Tower' after the Duke of Edinburgh who, on his second visit to Melbourne in 1869, laid a capital on one of the columns of the Town Hall Clock Tower. The Duke was the first official guest in the soon-to-be-completed Town Hall. The Town Hall clock was made by Smith and Sons of London and was presented by Vallange Condell, the son of the first Mayor of Melbourne, to the Council on 7 September, 1874. Experience the grandeur of the impressive wood-panelled Council Chamber, stand on the Portico where the Beatles waved, sit in the Lord Mayor's chair, and view the richly carved Melbourne Town Hall Grand Organ. With more than 10,000 pipes it is the largest grand romantic organ in the southern hemisphere.